To promote her new film 'Ben is Back', Julia Roberts stopped by the Build Series to discuss it and she attended the premiere in New York on yesterday(December 3rd). 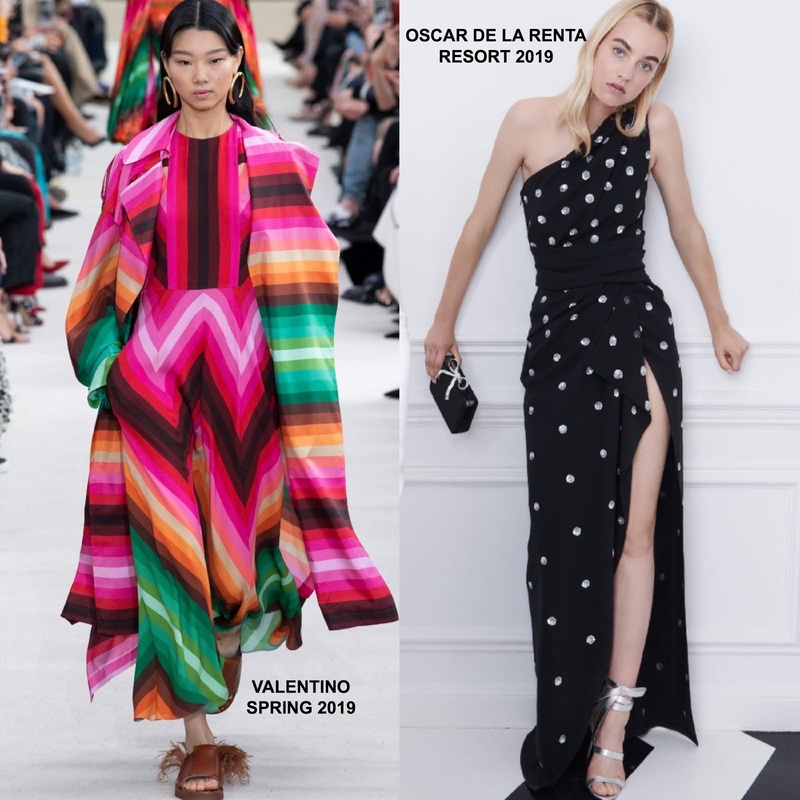 For the Build Series, even though it was somewhat of a gloomy day but relatively nice, Julia brightened up the day in this multicolored zigzag stripe dress from the VALENTINO SPRING 2019 collection. While I wish this was belted at the waist for balance, I am loving Julia's style direction and this such a great piece. She offset her vibrant stripe dress with CHLOE GOSSELIN black leather ankle boots. RAYBAN glasses, SYLVA & CIE rings and side parted waves finished up her look. For the premiere at the AMC Loews Lincoln Square theater, she slipped into a OSCAR DE LA RENTA RESORT 2019 black & silver dotted one-shoulder dress, which was nipped at the waist. In the look book, Julia's dress was shown in a longer version but her shorter version, suits her just fine. While the black RUPERT SANDERSON pumps are a snooze, they work and it doesn't take away the impact of her sophisticated look. Keeping warm in a ivory wool coat, she finished up with a wavy up-do and EF COLLECTION & GRAZIELA GEMS rings.